Box with CD, DVD and booklet (16 pages with illustrations by the Brothers Hildebrandt). 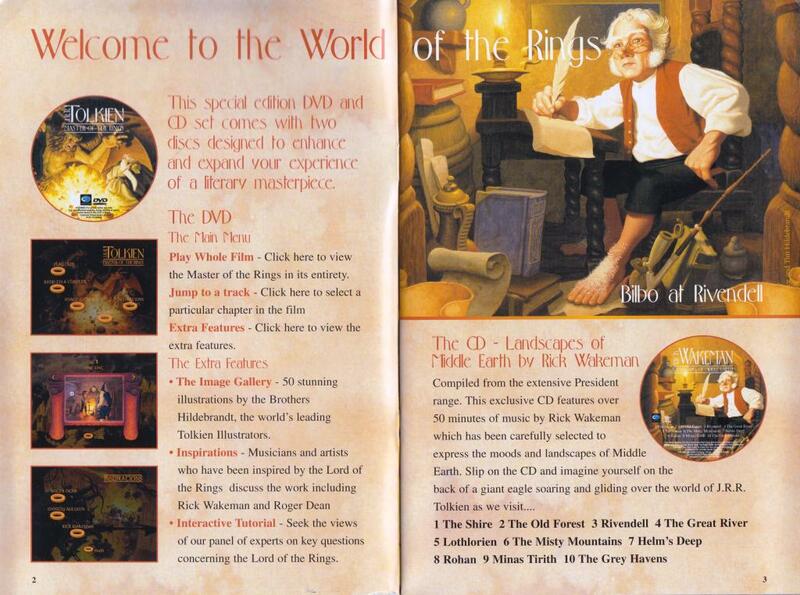 On the CD: Landscapes of Middle Earth, ten songs by Rick Wakeman, inspired by Middle Earth. Cromwell Productions Ltd, 5 034504 924871, 2001. Weight 221 grams.